Unsure of year it was made we borrowed the tent then bought a rock 5 and a canopy.Loved almost everything about the tent apart from the zip not going all the way round. We put duck tape on bottom of door to keep out rain and bugs.The same little problem with hi gear rock 5 but we were dry and warm and it stood up to heavy rain and winds. I would recommend either of these tents. I bought this tent last week to use on our first camping trip. We spent 3 nights in it. We had torrential rain and lots of wind. The tent never leaked or never moved! Its a bit tricky getting used to putting it up as once the poles are in its quite heavy to lift. Would recommend this tent to anyone. The reason iv gave it a 9 is because it could do with a fly screen being on the doors as well as we got a lot of bugs in. We also bought awning poles so the doors could be lifted up to give us more shelter to cook when it rained. Iv just found out though, the canopy extension can no longer be bought this year and higear are changing colours next year so I don't think we will be able to purchase one unless we find a second hand one. Wonderful tent! Very easy to pitch, takes around 15-20 minutes. Please practice before first trip away! You Tube has various demos. 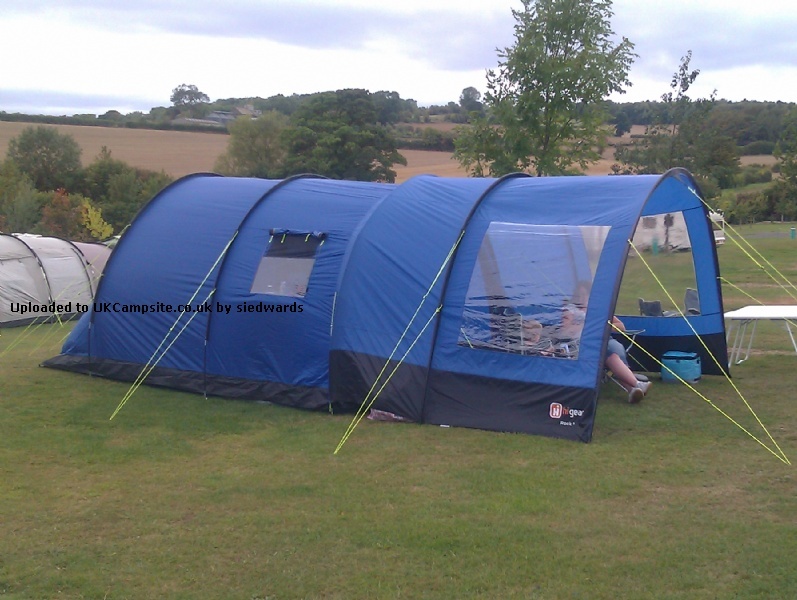 Best thing is the all-in-one style, bedroom, groundsheet are already built in. Managed to dismantle and pack away on my own. High winds had no effect whatsoever on stability. Great tent, 20 mins to pitch. I've pitched this tent numerous times and can pitch it on my own in 20 mins. Excellent in poor weather. The canopy extra is tricky to get right first time you use it, I'd recommend a practice pitch before heading away. I took my rock 5 to Glastonbury and we slept 3 in it.Wouldn't want anymore. Canopy is a must have.Happy camping. 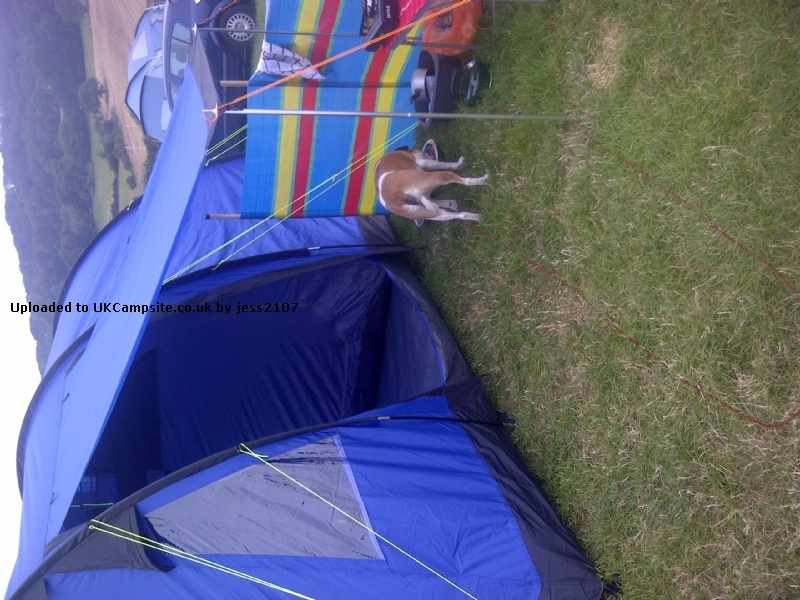 We have used this tent in 60 mph winds on the coast of Dover and it broke two poles but stayed up. Only noticed they were split when we took the tent down. We have used this tent in torrential rain on the coast of Cornwall and in a forest in Devon for 14 nights and not a single drop of rain has come in at all. We have used it as a 2 berth with the bedrooms opened up as one big room and put fishing beds in there. We have an awning for it too. The way the awning attaches is not great. Almost impossible to put up in the wind and only one drawstring holds it onto tent. But with some extra bulldog clips we have mastered it. The only thing I don't like is the door closings att he bottom. They could be improved by having a zip all around or velcro instead of just a few toggles. A very strong draft comes in all the time along with snails, spiders, slugs etc. It would be an easy modification to make yourself if this bothers you though. Quite good value for money. For your money you won't get the best tent but your not paying that much. Certainly worth what it costs. We found the extra poles to hold the front door open were worth it. Short people may struggle to roll the doors up as the toggles are fairly high up and you need to step inside to reach them. Really sorry but this tent was a disaster. Went up to Yorkshire at the weekend with my 2 daughters. It was wet and windy, we had to get up twice during the night to reposition buckets to catch water which was coming in through the zip seams and the flap on the side door. Everything was soaked - will be returning to GoOutdoors for hopefully a refund! Poles are that little too short really does take a lot of effort to get them on the ring apart from that its easy enough to erect. Our first trip out with it was to Scotland in APRIL! yes thats right April. It rained a LOT and the tent held its own VERY well I must say, there were no leaks and only slight pooling above the bedroom, which may of been a tension issue. There is plenty of room inside for a table and 3 chairs with extra room. The bedroom however would be a bit crowded with 5 people in there, we found it just enough for 1 double airbed and a single with rooms to still walk around. I did notice every morning our tent was ALWAYS frozen due to the amount of condensation accumulated overnight. 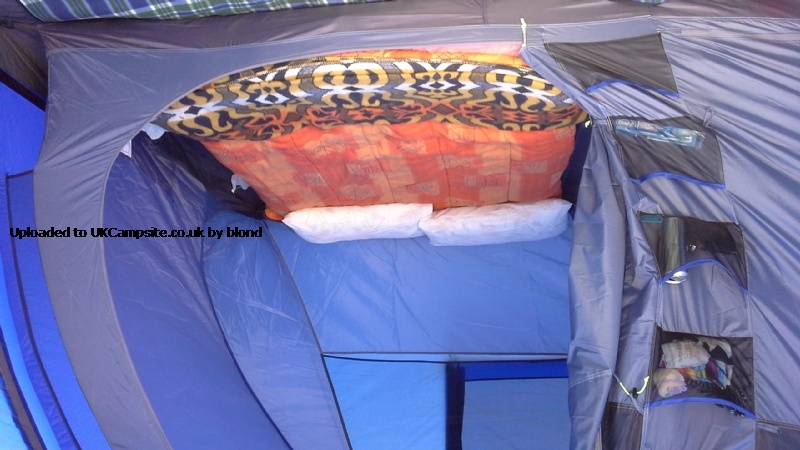 Pockets on the walls are great, enough windows, 2 doors, a real nice little tent over all, cant argue for �40. We bought this tent as it was so spacious for just the 2 of us. The fully sewn in ground sheet is great, the bedrooms open up to create a large bedroom and the living area is huge - large enough for 4 chairs, a table and cooking facilities. We bought extra poles and guy ropes so we could open up the front and side doors to create a canopy for when the weather isn't so good! It withstood a lot of battering from the Anglesey and West Wales winds but we had to replace a few poles, thank goodness for electrician's tape in an emergency! It's worth investing in the carpet and the footprint and even the canopy if you need more space. All in all, a great value tent. Add your review of the Blackrock 5!